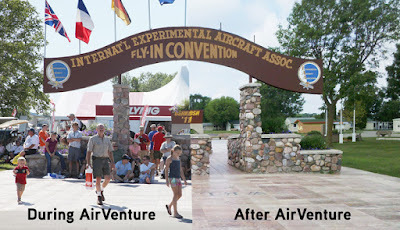 The Airplanista Editors were most understanding that the August deadline didn’t work well with the schedule and lifestyle that becomes the EAA staff norm just before and during AirVenture. It’s good to be back, with a little perspective on the event that passed a few weeks ago at Oshkosh. You wouldn’t recognize the place now. The tents have gone, the buildings have been closed up, and even the grass has bounced back on some of the most-used pathways. “Bouncing back” might indeed be the best term of all. The first two weeks after AirVenture is Decompression Time for those directly involved, so forgive us if a question receives a blank stare as an answer. A person involved in the day-to-day operations of the event spends so much time in the Oshkosh bubble that it’s tough to start living a regular life after closing day. You forget that 5 or 6 p.m. doesn’t mean the workday is half finished. Then there are the real-world things that have kept going in your absence: The NFL solved its labor negotiations? Really? Did I miss paying any bills that arrived in the mail? How did my kids get this much older while I was gone? Decompression is a good description because there is so much preparation and execution of AirVenture going on that one forgets how odd the schedule really is. It takes a week or two to feel fully rested and back into the norm. Interestingly enough, there are times now where one begins to miss the Oshkosh-time, all-the-time frenzy – perhaps for no other reason than it’s nice for a couple weeks to say business casual means a baseball cap, polo shirt, shorts, and sneakers. 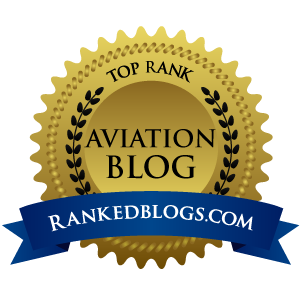 Even though right after AirVenture, it’s easy to mentally click into “low-hum setting” when getting things done, there are still important checklist items. Primary among those is completing the AirVenture debrief. While the memories are still fresh, it’s important to write everything down that occurred, good and bad, so the following year doesn’t start with a blank slate. Who is that? There are two fistfuls of business cards piled on your desk. Your mission is to remember who exactly these people are, when you met them, and whether it’s important to include them in your contacts list. What is that? Pick up any lost-looking object – a scrap of paper, a box in the corner, some unidentified forgotten sandwich in the refrigerator – then determine what it is and whether it’s worth saving. Why was that? Look at your list of pre-Oshkosh “must get done” list. Did all those things get done? If they did: You’re lying. If they didn’t get done, did anyone notice? Did you even notice? If not, was it all that important to begin with? There are some other immediate needs, too. There are thank-you notes to be sent to all those people who make your life a little easier during AirVenture. In our case, there are media requests for final numbers, photos, quotes and more that must be addressed right after the event. And there are the questions, comments, suggestions and other inbox items that should be answered. 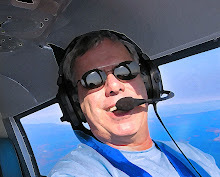 Several weeks after EAA AirVenture 2011, what will this writer remember most? The sheer frenzy of the week. It’s great to see everyone, but by the time the responsibilities of the week begin to calm, it’s already Friday, and some people are heading home. There’s never enough time to talk with everyone you want to talk with. Rows of canard aircraft at rest along the flight line. Noses down, winglets up high, the canards that came for the Burt Rutan tribute made a unique sight that stopped non-aviators in their tracks. Bob Hoover in the media tent. Always gracious, the “pilot’s pilot” missed his first attempt at a media availability through a schedule snafu that was not his fault. Word got back to us that Bob felt badly about missing it and insisted that we reschedule. He was scheduled for 30 minutes; he stayed for 60. It was a great hour that felt like it sped by in five minutes. The night air show. Sure, I’ve seen the acts before, but there’s something about seeing them at dusk and in the dark that seems otherworldly. Friday evening’s Airplanista Magazine tweet-up. By the fifth day of the event, it was nice to actually sit for a while and put faces to names of people who are usually only Twitter handles or email addresses. There are other highlights, too, that will pop up as the decompression is completed. There is just so much going on that it’s tough to focus on a single moment. With all the activities, we sometimes hear afterward about how this or that got overlooked and that the event doesn’t care about it. Not true. We all look at AirVenture from inside our own Oshkosh bubble, with our own experiences and memories. The constant among all the bubbles is that this place and this event are not about any one of us, but all of us at this moment. Already, sad to say, some of those seen at Oshkosh just a few weeks back are no longer with us. That’s why we must treasure these times for what they are, and why we’ll be ready to throw ourselves back into AirVenture mode for 2012.